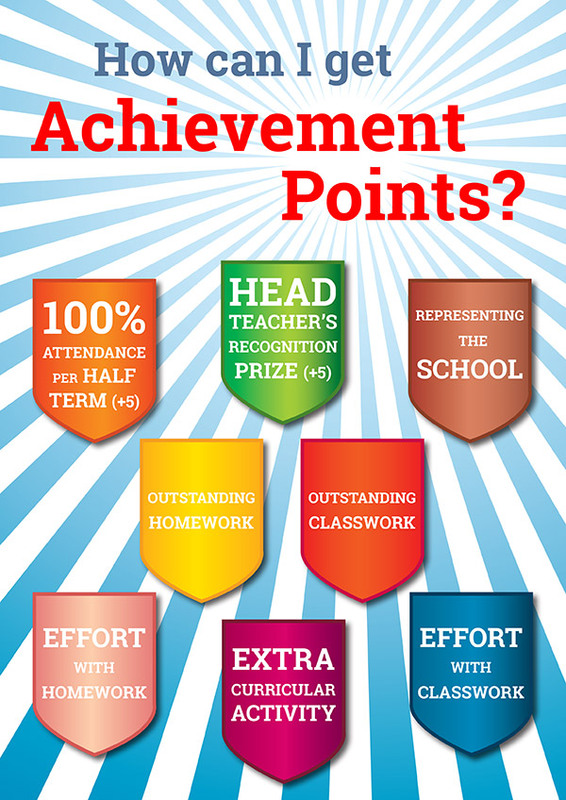 As part of the new Rewards scheme, pupils who achieve the most rewards points in their year group will be invited on an activity day. 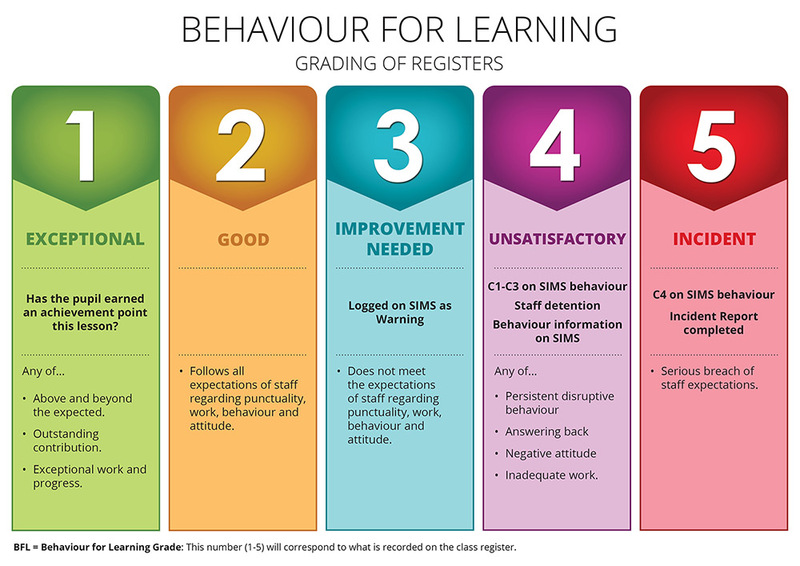 At the end of each term, pupils’ points will be counted and activities are being planned to reward those who have maintained excellent levels of effort, work and behaviour. 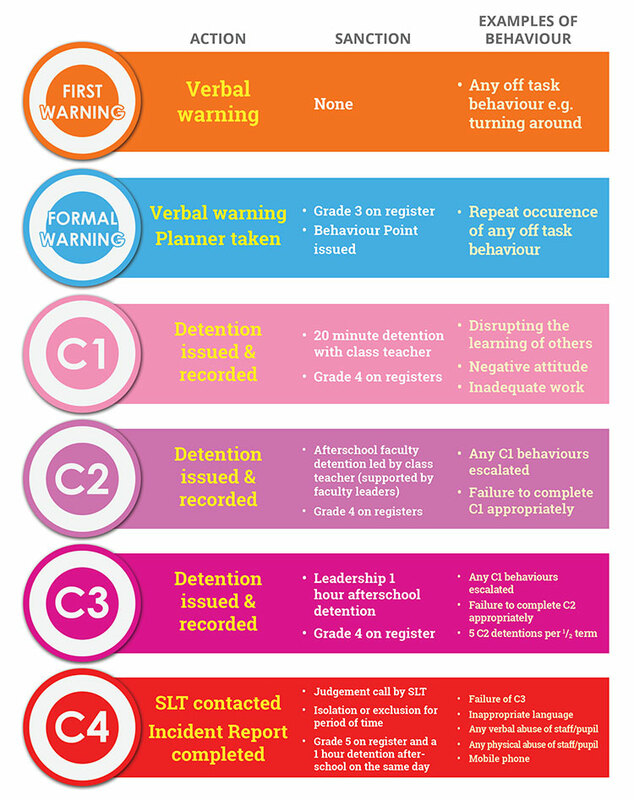 Praise emails are sent out when a pupil achieves three or more Behaviour for Learning Grade 1s (see the chart above) in a day. 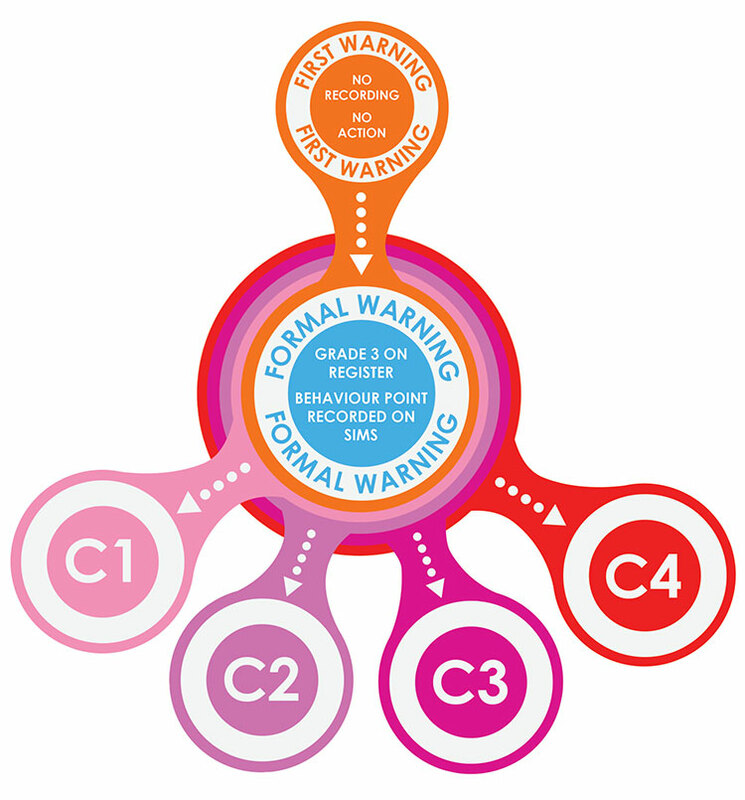 There are two virtual medals – the first, silver, is awarded to pupils who have achieved 3 or 4 grade 1s. 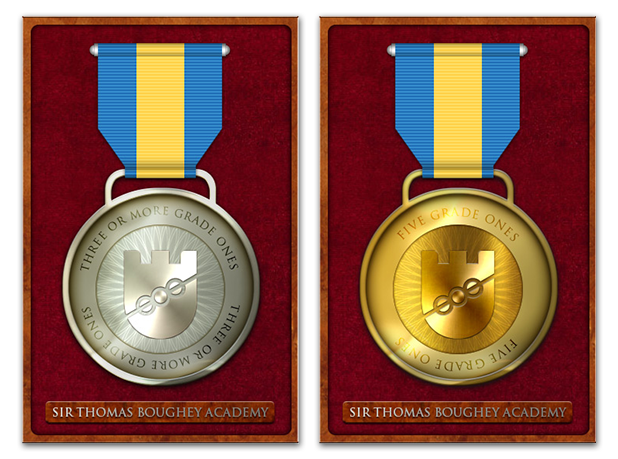 The second, gold, is awarded to pupils who have achieved 5 grade 1s.